Here’s a fun fact – I’ve recommended OnePlus’ Bullets V2 (review) in-ear headphones to more people than I can count with both hands. 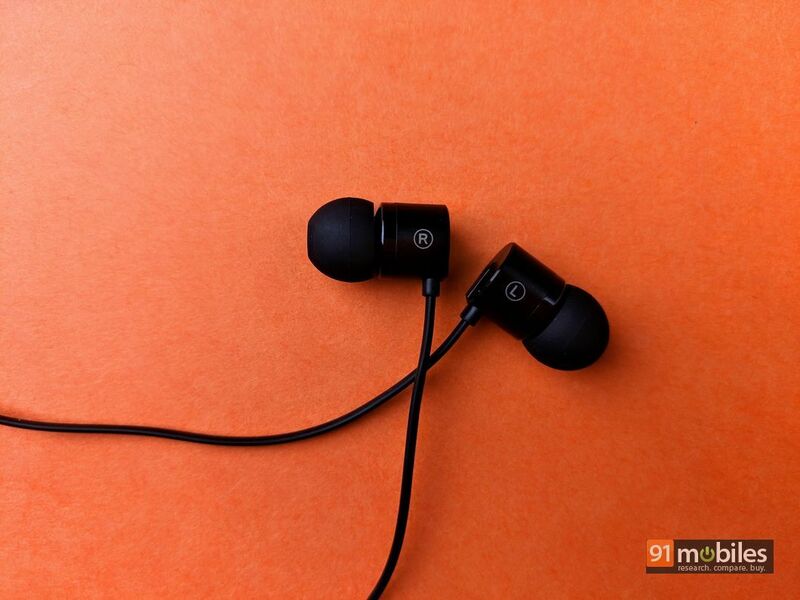 For its asking price of Rs 1,199, the earphones sound surreal and if you’re in the market for a pair of budget IEMs, then rest assured, you cannot go wrong with the V2s. That is, if your smartphone does have a 3.5mm headphone jack. 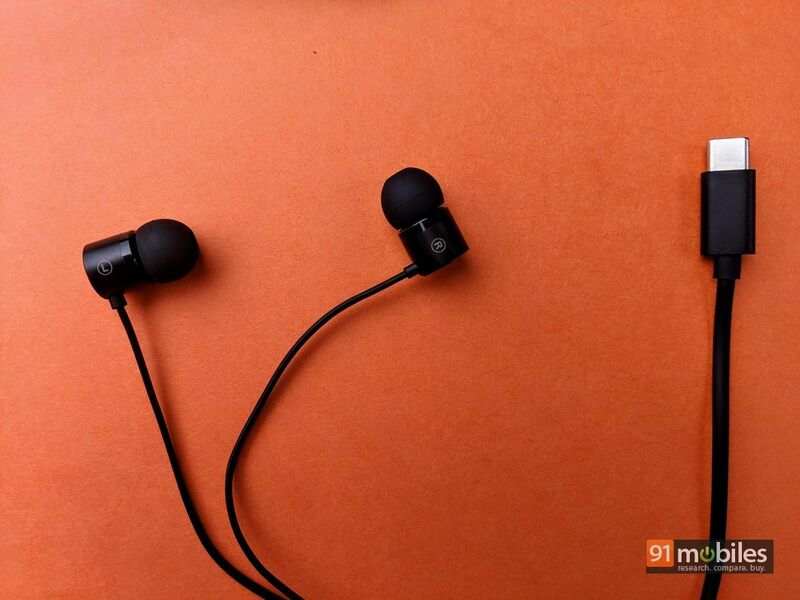 If it doesn’t, then fret not, as the company recently announced the Bullets Type-C earphones to go along with your jack-less Android smartphone. Since the last device I reviewed was the OnePlus 6T, I got plenty of time to test the earphones and here’s what I make of them. The Bullets Type-C earphones are identical to the OnePlus Bullets V2 in terms of design, with the only difference being the connector used at the end of the earphones respective cables. 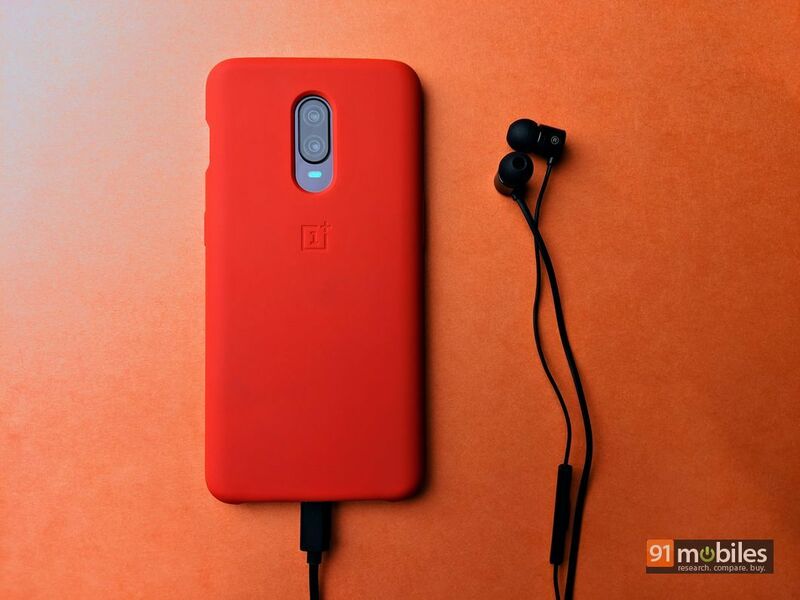 That said, I am not opposed to the similar-looking aesthetic of the newer earphones, primarily because OnePlus hit the nail on the head with the design of the V2s in the first place. 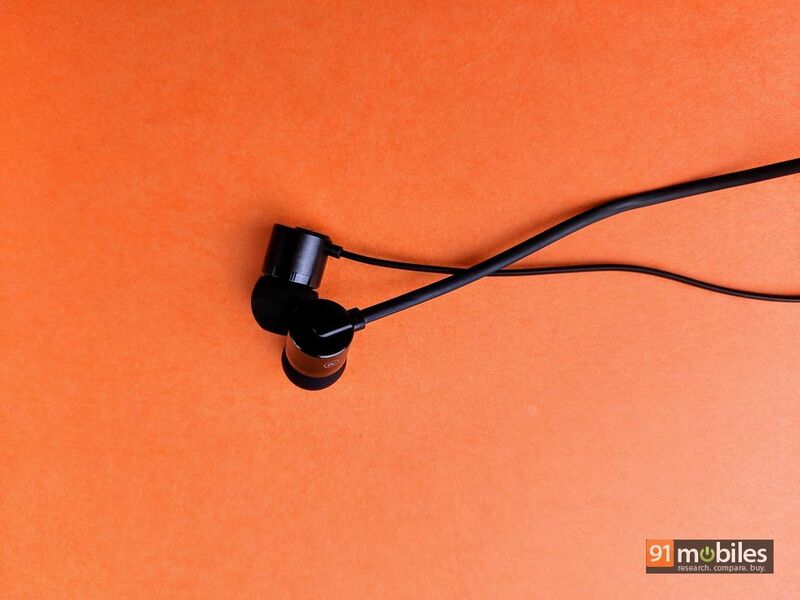 Consequently, the metallic earpieces make a return on the Bullets Type-C earphones, which give an air of premiumness to the otherwise inexpensive IEMs. 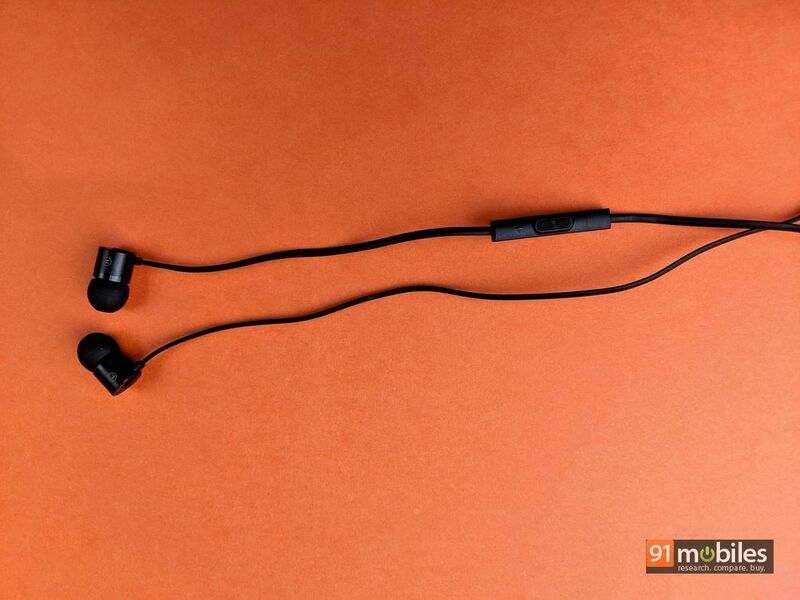 What’s more, OnePlus has also retained the flat style cable on the Bullets Type-C earphones which should save you precious minutes every day you’d otherwise spend untangling the wires of the earphones. Unfortunately, all the critiques levied against the Bullets V2 still apply here. The in-line remote control is still constructed out of plastic and simply put, feels cheap. Moreover, the part of the cable going into the earpieces feels flimsy and fragile too. OnePlus does claim that they’ve reinforced the wires by adding aramid fibres which should help the earphones stand the test of time. On the flip side, the Bullets Type-C are supremely comfortable to wear over long hours. Thanks to the earpieces minuscule form factor, the Bullets Type-C nestle comfortably in the ears and don’t protrude outwards either. Therefore, you can sleep on one side with the earphones plugged in as the earpieces won’t bite the inside of your ears. Coming to the meat of the matter, the Bullets Type-C sound similar to its predecessor, which in no way is a bad thing. The company does claim that the pair ships with a built-in Cirrus Logic DAC which should improve the dynamic range and offer a higher signal-to-noise ration too. However, during my testing, I couldn’t tell the two models from each other. Much like the Bullets V2, the Bullets Type-C also boast a bass-heavy sound signature and correspondingly, songs from the EDM/Hip-hop genre are best enjoyed on the earphones. That said, the bass output isn’t as tight as I’d like it to be and the beats are a bit on the boomy side. This, in turn, creates a distinctive echo/hum which is synonymous with earphones from Sony’s stables. I also noticed that the bass interferes with the mids as well as the highs. In Lady Gaga and Bradley Cooper’s Shallow, it’s evident that the vocals as well as the strums from the acoustic guitar sound deeper than they should. That said, earphones with an emphasis on the low-end tend to be well-liked and I am confident that the Bullets Type-C will also sell in mass volumes. While the sound isn’t technically accurate, the Bullets Type-C earphones are a lot of fun to listen to. The mids sound lush and tonally pleasing to the ears and the highs feel energetic without sounding fatiguing at the same time. What’s more, despite the tiny size, the Bullets Type-C earphones can create a wide soundstage which quite frankly, is unheard of in this space. The earphones imaging capabilities deserve a mention too, as I could distinctively identify the different instruments in The Avalanches chaotic symphony, Frontier Psychiatrist. As for compatibility, I tested the Bullets Type-C with a myriad of smartphones and the earphones worked flawlessly with the likes of Google’s Pixel 3XL (review), Pixel 2XL (review), Samsung’s Galaxy S8 Plus (review), and the Galaxy Note9 (review). 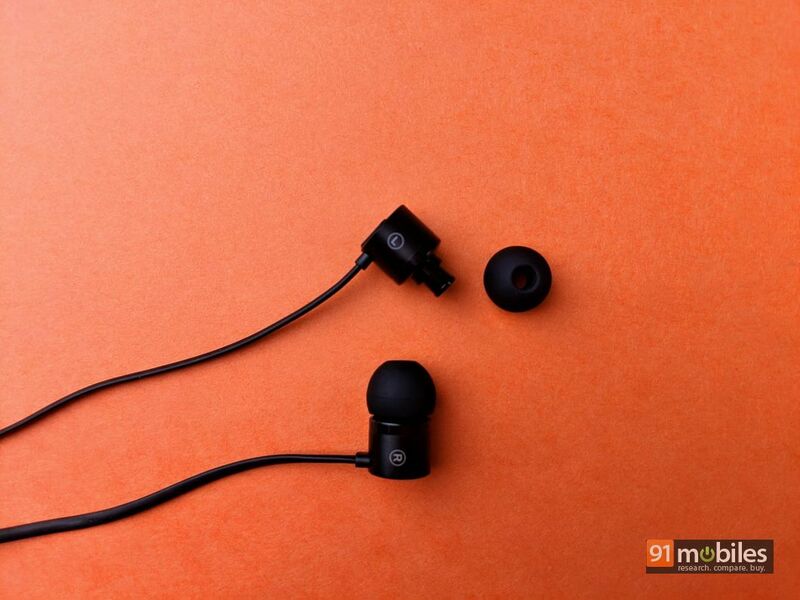 However, the earphones were incompatible with several other smartphones which ship with a Type-C port, including the Vivo NEX (review) and even the OnePlus 6 (review)! But then again, are the Bullets Type-C earphones even worth your hard-earned dough? The answer to that is a resounding yes. 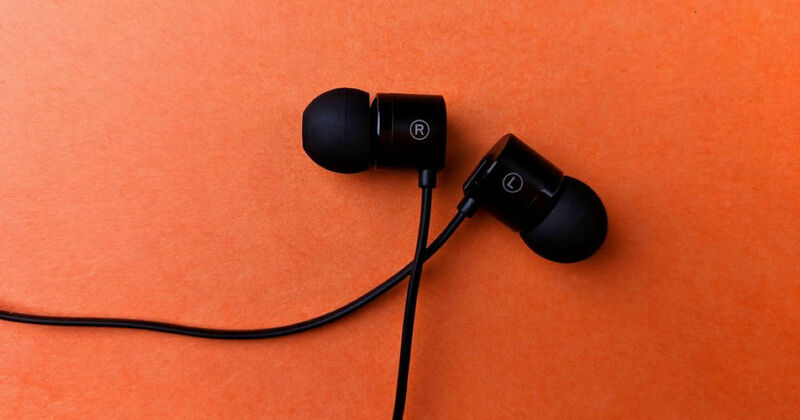 The Bullets Type-C sound terrific and are reasonably priced at Rs 1,490, which makes them one of the most inexpensive pair of Type-C earphones in the market. If you want to save a couple hundred bucks, then you could instead opt for the Bullets V2 and pair them with your smartphone via a dongle. But, I can easily get behind the added costs of the Bullets Type-C earphones as it saves me from the hassle of using a dongle every day.